Milkshakes usually come in classic flavors like vanilla, strawberry, and chocolate, but you’ll find some new ones at Blue Bubble Creamery in Mililani, HI. They’ve experimented with infusing tropical and other distinct flavors to come up with delicious tastes you won’t find anywhere else. 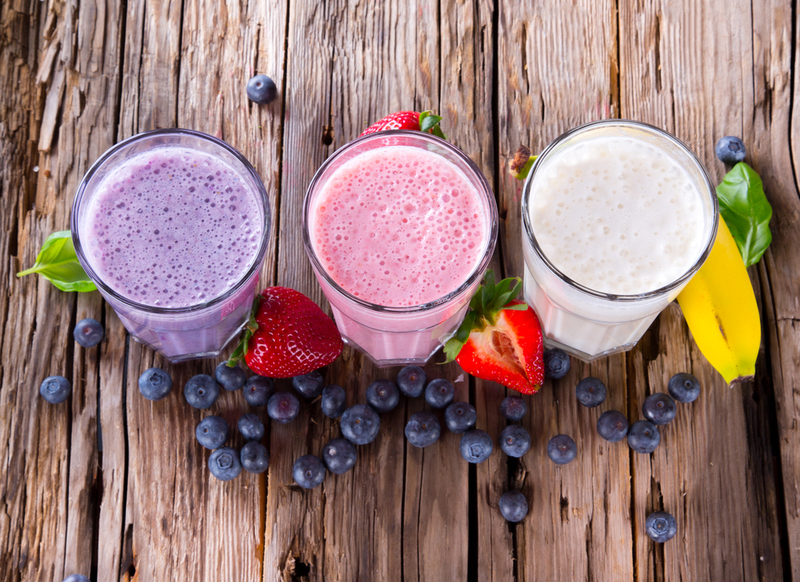 If you’re feeling adventurous, these unique concoctions will satisfy your shake cravings. Juicy melons are exquisite on a hot, humid day. With the Smelon Good milkshake, you get a honeydew mixed with the creaminess of milk. Crafted with a smooth original base of vanilla, Smelon Good is ideal for when you’re chilling out. It’s also topped with a serving of boba, something for you to chew on. Ube, the Filipino gooey dessert made from purple yams, is cooking up a storm among food enthusiasts. Now, you can have a taste of its nutty flavor with the Ube Mine milkshake. Made with a thick ube base, this milkshake gets a boost of flavor from taro, another root crop. Coconut syrup is mixed in for added sweetness while mochi provides some chewiness. A lot of people may prefer to stick with old favorites, but a serving of Mean Cookie Monster milkshake might just be the recipe to draw them out of their comfort zones. Using a creamy base of vanilla, this fancy flavor gets its chilly taste from crushed mint Oreos with a hefty dose of chocolate syrup walls for good measure. It’s a cooler version of the Cookie Monster with a minty twist. When you’re hankering for a sweet, refreshing drink, drop by Blue Bubble Creamery. A treat for the taste buds, their creamy milkshakes are made from the freshest ingredients. This central Oahu creamery is famous for ice cream rolls and bubble teas, so round up the gang to have a frozen sweet treat or two. Call (808) 200-1036 to inquire about flavors, or head over to their website to see their current deals. You can also check out photos and review on Yelp.